Within Yosemite National Park, there are several majestic lodges that call back to the luxurious stylings of old-school national park tourism. In the heart of Yosemite Valley are the Yosemite Valley Lodge (Yosemite Lodge) and the Majestic Yosemite Hotel (Ahwahnee Lodge), and near the South Entrance along Route 41 is the Victorian-era Big Trees Lodge (Wawona Hotel). Various canvas tent cabin lodging is also available in scattered locations throughout Yosemite. For more information, see Yosemite's lodging website. If you are looking for lodging options outside of Yosemite National Park, there are several towns in the surrounding areas where you can start searching. It is disappointingly noteworthy though that there are almost no budget-priced lodging options near Yosemite. Lodging is much more expensive than comparable rural areas around the country. If you live near sea level and aren't acclimated to higher elevations, this can be a factor during your visit to Yosemite. 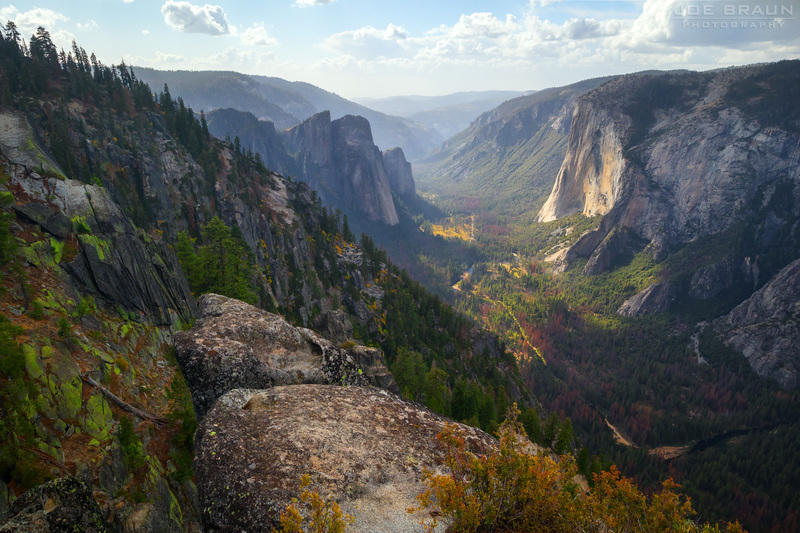 The floor of Yosemite Valley is roughly 4000 feet above sea level, which isn't that noticeable of a difference, but many hikes to the high country ascend several thousand feet. Yosemite Point is at 6936 feet, the summit of Half Dome is at 8839 feet, and Clouds Rest is at an impressive 9931 feet. The Glacier Point Road reaches an elevation of roughly 7500 feet and Tioga Road near Tuolumne Meadows is well above 8500 feet. When hiking through the higher elevation sections of Yosemite National Park, it is very easy to get out of breath, especially on uphill sections of trail. Give yourself plenty of time for hikes and take short breaks as needed to regain your breath. Hiking at 10,000 feet is very different from hiking at sea level. While there is a lot of wildlife in Yosemite National Park, the animals that command the most respect are black bears. Black bears are berry-eating vegetarians and are not as threatening as their meat-eating grizzly and brown bear cousins, but weighing up to 250 pounds, humans should not mess with them. While encounters are infrequent, NPS recommends that if you see a black bear in the wilderness, you should stay at least 50 yards away; do not approach it. If you encounter a black bear in developed areas (like Yosemite Valley), you should 'stand your ground and scare the bear away by raising your arms and making very loud noises'. While no one has actually been killed or seriously injured by a black bear in Yosemite, it is important to secure all of your food and other fragrant items to dissuade bears from thinking that human items are an easy source of food. Do not leave any food in your car and do not leave any food sitting out at camp or anywhere else unattended. Most parking areas, trailheads, and campgrounds have large metal bear-proof lockers where you can temporarily stow your food safely. (And make sure that you close the door latch properly!) Backpackers also need to store all of their food in portable bear-proof canisters (like the BearVault BV450 Food Container) and stow them at least 100 feet from their tent. For more info see NPS's Bears and Food Storage page. As is the case in many national parks, cell phone reception can be spotty and unpredictable. Reception in the popular eastern side of Yosemite Valley (Yosemite Village, Half Dome Village, the campgrounds, etc.) is excellent and you can typically get a solid 4G connection, but as you wander west to the more secluded areas (near El Capitan and Bridalveil Fall), signal tends to get weak and unpredictable. When hiking any wilderness trail or driving along Tioga Road, you can pretty much expect that you won't get any reception. If you use a GPS for navigation, make sure that it has offline maps, otherwise it will be useless. 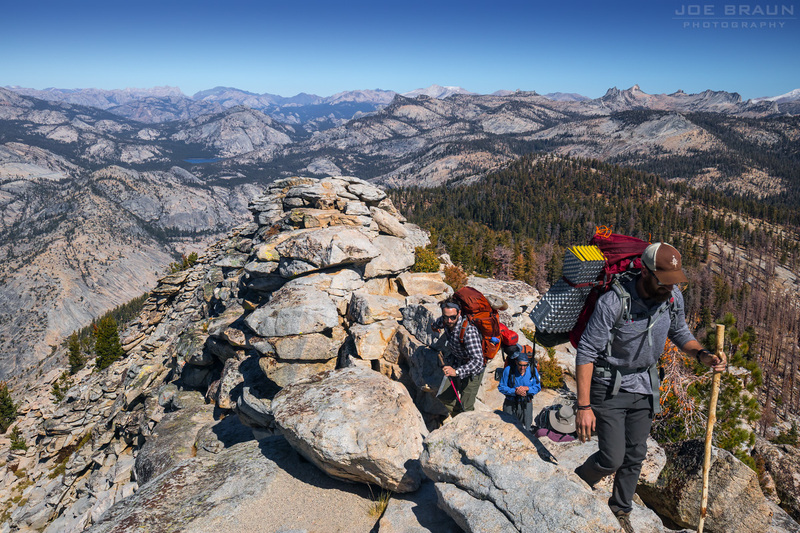 You can often get reception at many exposed viewpoints, including Tunnel View, Glacier Point, Yosemite Point, Sentinel Dome, Half Dome, and even Clouds Rest.